Akin, Jimmy. “Brass Tacks: Saving Judith and Tobit” in This Rock, Vol. 14, No. 6, July-August 2003. Fuentes, Antonio. “Old Testament Guide: Ezra and Nehemiah” in This Rock, Vol. 5, No. 9, September 1994. _____. “Old Testament Guide: Joshua” in This Rock, Vol. 4, No. 8, August 1993. _____. “Old Testament Guide: Judges and Ruth” in This Rock, Vol. 6, No. 6, June 1995. _____. “Old Testament Guide: Judith and Esther” in This Rock, Vol. 6, No. 2, February 1995. _____. “Old Testament Guide: 1 and 2 Kings” in This Rock, Vol. 4, No. 11, November 1993. _____. 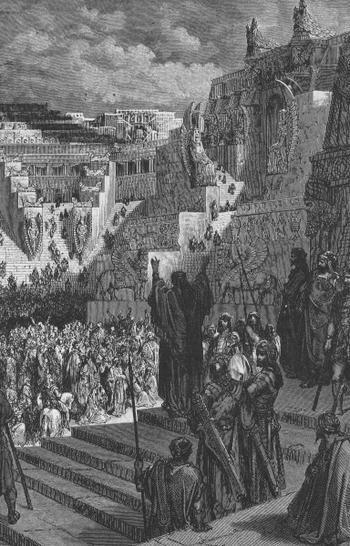 “Old Testament Guide: 1 and 2 Maccabees” in This Rock, Vol. 4, No. 1, January 1993. _____. “Old Testament Guide: 1 and 2 Samuel” in This Rock, Vol. 3, No. 7, July 1992. _____. “Old Testament Guide: Tobit” in This Rock, Vol. 5, No. 10, October 1994.